MAC Punk Couture collection is dark, edgy and with a rebellious spirit - I'm undecided about the black glosses, but all in for the rest of it! 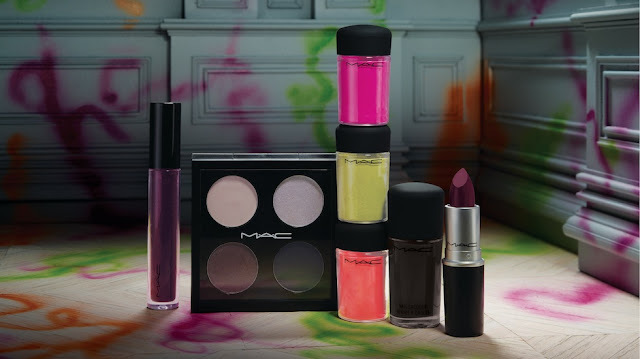 Available now at MAC counters across Canada and online at www.maccosmetics.com. I don't normally buy MAC products but those pigments are calling my name..... I might have to get the chartreuse and orange ones.